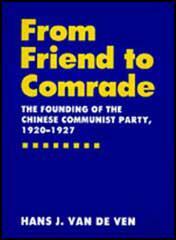 Inspired by the Russian Revolution the Chinese Communist Party (CCP) was established in Shanghai by Chen Duxiu and Li Dazhao in June 1921. Early members included Mao Zedong, Zhou Enlai, Zhu De and Lin Biao. Following instructions from the Comintern members also joined the Kuomintang. Mao Zedong soon became the most important member of the CCP. He adapted the ideas of Lenin who had successfully achieved a revolution in Russia in 1917. He argued that in Asia it was important to concentrate on the countryside rather than the towns, in order to create a revolutionary elite. With the help of advisers from the Soviet Union the Kuomintang gradually increased its power in China. Its leader, Sun Yat-sen died on 12th March 1925. Chiang Kai-Shek eventually emerged as the most important figure in the organization. He now carried out a purge that eliminated the communists from the organization. Those communists who survived managed to established the Jiangxi Soviet. The nationalists now imposed a blockade and Mao Zedong decided to evacuate the area and establish a new stronghold in the north-west of China. In October 1934 Mao, Zhou Enlai, Lin Biao, Zhu De, and some 100,000 men and their dependents headed west through mountainous areas. The marchers experienced terrible hardships. The most notable passages included the crossing of the suspension bridge over a deep gorge at Luting (May, 1935), travelling over the Tahsueh Shan mountains (August, 1935) and the swampland of Sikang (September, 1935). The marchers covered about fifty miles a day and reached Shensi on 20th October 1935. It is estimated that only around 30,000 survived the 8,000-mile Long March. When the Japanese Army invaded the heartland of China in 1937, Chiang Kai-Shek was forced to move his capital from Nanking to Chungking. He lost control of the coastal regions and most of the major cities to Japan. In an effort to beat the Japanese he agreed to collaborate with Mao Zedong and his communist army. During the Second World War the communist guerrilla forces were well led by Zhu De and Lin Biao. As soon as the Japanese surrendered, Communist forces began a war against the Kuomintang. The communists gradually gained control of the country and on 1st October, 1949, Mao Zedong announced the establishment of People's Republic of China. In 1958 Mao Zedong announced the Great Leap Forward, an attempt to increase agricultural and industrial production. This reform programme included the establishment of large agricultural communes containing as many as 75,000 people. The communes ran their own collective farms and factories. Each family received a share of the profits and also had a small private plot of land. However, three years of floods and bad harvests severely damaged levels of production. The scheme was also hurt by the decision of the Soviet Union to withdraw its large number of technical experts working in the country. In 1962 Mao's reform programme came to an end and the country resorted to a more traditional form of economic production. As a result of the failure on the Great Leap Forward, Mao retired from the post of chairman of the People's Republic of China. His place as head of state was taken by Liu Shaoqi. Mao remained important in determining overall policy. 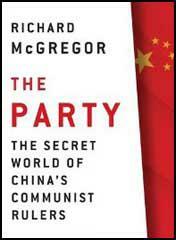 In the early 1960s Mao became highly critical of the foreign policy of the Soviet Union. He was appalled by the way Nikita Khrushchev backed down over the Cuban Missile Crisis. Mao Zedong became openly involved in politics in 1966 when with Lin Biao he initiated the Cultural Revolution. On 3rd September, 1966, Lin Biao made a speech where he urged pupils in schools and colleges to criticize those party officials who had been influenced by the ideas of Nikita Khrushchev. Mao was concerned by those party leaders such as Liu Shaoqi, who favoured the introduction of piecework, greater wage differentials and measures that sought to undermine collective farms and factories. In an attempt to dislodge those in power who favoured the Soviet model of communism, Mao galvanized students and young workers as his Red Guards to attack revisionists in the party. Mao told them the revolution was in danger and that they must do all they could to stop the emergence of a privileged class in China. He argued this is what had happened in the Soviet Union under Joseph Stalin and Nikita Khrushchev. Zhou Enlai at first gave his support to the campaign but became concerned when fighting broke out between the Red Guards and the revisionists. In order to achieve peace at the end of 1966 he called for an end to these attacks on party officials. Mao Zedong remained in control of the Cultural Revolution and with the support of the army was able to oust the revisionists. The Cultural Revolution came to an end when Liu Shaoqi resigned from all his posts on 13th October 1968. Lin Biao now became Mao's designated successor. Mao now gave his support to the Gang of Four: Jiang Qing (Mao's third wife), Wang Hongwen, Yao Wenyuan and Zhange Chungqiao. These four radicals occupied powerful positions in the Politburo after the Tenth Party Congress of 1973. Mao Zedong died in Beijing on 9th September, 1976. After the death of Mao the power of the Gang of Four declined dramatically. In 1980 they were found guilty of plotting against the state. Jiang Qing and Zhange Chungqiao, who were considered to be the leaders, were sentenced to death (later commuted to life imprisonment). Wang Hongwen and Yao Wenyuan received lengthy prison sentences. In the winter of 1920, I organized workers politically, for the first time, and began .to be guided in this by the influence of Marxist theory and the history of the Russian Revolution. During my second visit to Beijing I had read much about the events in Russia, and had eagerly sought out what little Communist literature was then available in Chinese. Three books especially deeply carved my mind, and built up in me a faith in Marxism, from which, once I had accepted it as the correct interpretation of history, I did not afterwards waver. These books were the Communist Manifesto, translated by Chen Wangdao, and the first Marxist book ever published in Chinese; Class Struggle, by Kautsky; and a History of Socialism, by Kirkupp. By the summer of 1920 I had become, in theory and to some extent in action, a Marxist, and from this time on I considered myself a Marxist. In June of 1921, I went to Shanghai to attend the foundation meeting of the Communist Party. In its organization the leading roles were played by Chen Duxiu and Li Dazhao, both of whom were among the most brilliant intellectual leaders of China. Under Li Dazhao, as assistant librarian at Beijing National University, I had rapidly developed towards Marxism, and Chen Duxiu had been instrumental in my interests in that direction too. I had discussed with Chen, on my second visit to Shanghai, the Marxist books that I had read, and Chen's own assertions of belief had deeply impressed me at what was probably a critical period in my life. The gap between Sun Yat-sen and the West continued to widen. When he threatened in December to seize the customs revenues in the port of Guangzhou, the powers staged a naval demonstration to preserve the status quo. Thwarted, Sun angrily stated, "We no longer look to the Western powers. Our faces are turned toward Russia." In January 1924, Sun Yat-sen called the First National Congress of the reorganized Kuomintang in Guangzhou. Among the Communists who attended were Li Dazhao, Mao Zedong and Qu Qiubai. The congress adopted the anti-imperialist, anti-feudal policy advanced by the Communists, agreed to absorb individual Communists and Socialist Youth League members into the Kuomintang, and decided to reorganize the Kuomintang into a revolutionary alliance of workers, peasants, the petty-bourgeoisie and national bourgeoisie. In this way, new blood was infused into the ranks of the Kuomintang and Sun Yat-sen became the leader of a revitalized revolutionary movement. China's industrial proletariat was born with the emergence of modem industry. Around 1870, industrial workers in modern China totalled less than 10,000. The number increased to about two million prior to the May 4th Movement in 1919. Though not very numerous, this industrial proletariat represented China's new productive forces and was the most progressive class in modern China. From the time of its birth the Chinese proletariat continuously fought against oppression and exploitation by foreign capitalism, domestic feudal forces and the bourgeoisie in various ways - political, economic, and otherwise. In 1917, the great October Socialist Revolution broke out in Russia under Lenin's leadership. It inspired China's advanced elements to study and publicize Marxism and the ideas of the Revolution. Consequently a group of intellectuals with incipient communist ideas like Li Dazhao and Chen Duxiu appeared, and these helped to spread Marxism in China. Under the influence of the October Revolution, the May 4th Movement - a great anti-imperialist and anti-feudal revolutionary movement - took place in China, at which the Chinese proletariat demonstrated its might for the first time. Meanwhile Marxism-Leninism spread and linked itself with the revolutionary practice of the Chinese people. In ideology and in training cadres, the May 4th Movement set the stage for the founding of the Communist Party of China. On July 1, 1921, Mao Zedong, Dong Biwu, Chen Tanqiu, He Shuheng, Wang Jinmei, Deng Enming and others, representing the communist groups in different places, met and held the First National Congress in Shanghai to found the Communist Party of China, the vanguard of the Chinese proletariat.